Are we really thinking about summer camp before Thanksgiving even hits? It’s a tradition to give each camper at Camp Catch-Up their very own homemade blanket to keep them warm at camp and take home as a keepsake. Now, with three camps each summer, it’s getting harder to get all those blankets made. 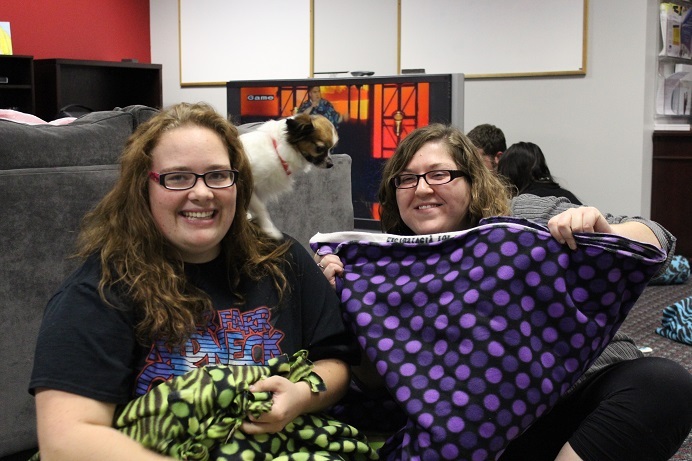 So this year, Project Everlast Omaha hosted a blanket party! 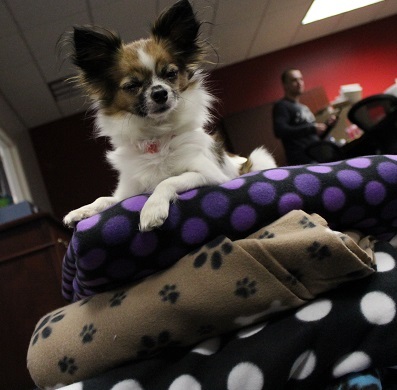 We had counselors, employees, young adults, volunteers and one enthusiastic dog join us for an evening of cutting and tying cheery fleece blankets for next year’s campers. Amy West from Nebraska Appleseed finishing up her third blanket of the evening. PE Lincoln Youth Advisor James Bowers and Employment Manager Oanh Heiser stop working to cheese it up. 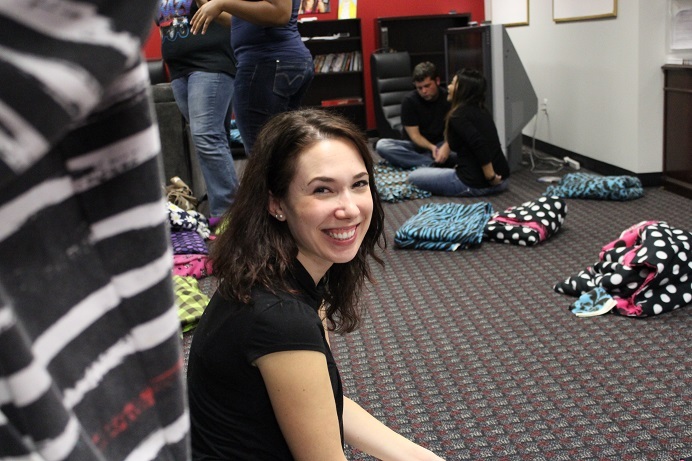 PE youth and adult volunteers work together to finish a few last blankets. Proud puppy keeps watch over the finished product while Nate helps himself to some dessert.